Jewelry is a wearable art form that has captured our imaginations for centuries. 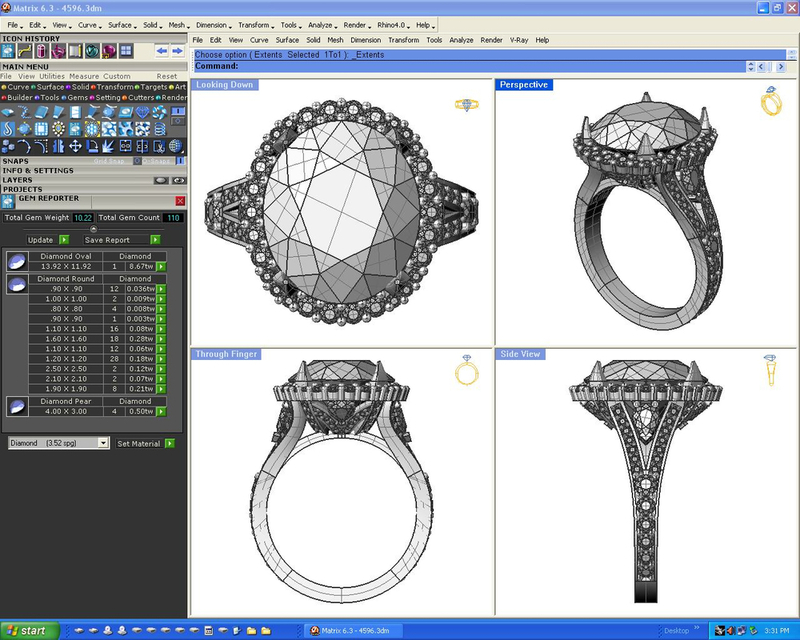 Designing custom jewelry or re-imagining an existing piece in your jewelry box is at the heart of what HL does. Viewing jewelry as a personal statement, HL enjoys working side-by-side with clients to create a unique piece of jewelry that captures a momentous occasion, personal achievement or a private desire. The timelessness of precious metals and gems also allows for a brilliant reworking of old, or little worn jewelry, to suit your current style and sensibility. It all starts with a private meeting at HL’s showroom to explore the reason for the piece and discuss personal style, symbolism, preferences for materials, and budget. A sketch of your design is created and modifications made based on your feedback. A wax model is carved, either by hand or by state-of-the-art CAD (computer aided design) depending upon the design requirements, and shown to you for approval. The wax is cast in the selected metal, hand-finished, followed by the setting of any gemstones. Finally, your unique piece of jewelry is delivered to your guaranteed delight. To make an appointment with Helene Lucille for a complimentary consultation, ring us at 312.643-2030 or contact us here.